SAN FRANCISCO (KGO) -- There was lots of love and admiration Wednesday for a special Marine who was ready to retire. Pascal, an 8-year Marine Corps. 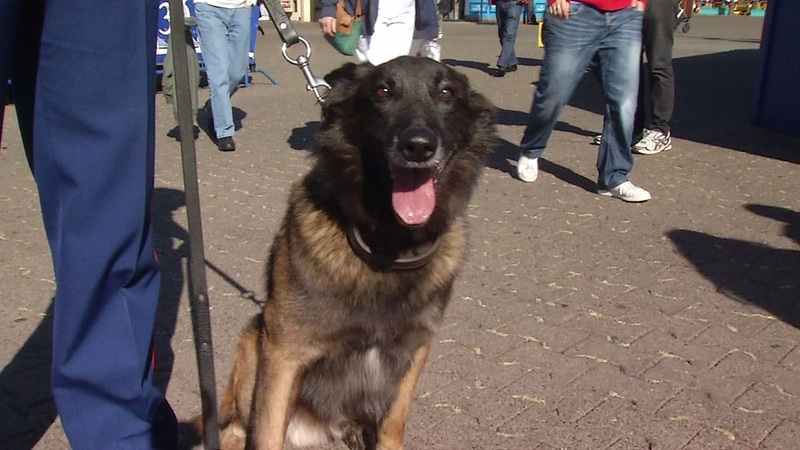 veteran K9, who served as a patrol explosive detector dog, was at Pier 39 Wednesday. He's considered a hero K9 for making sure paths were safe for his comrades. "Without him I wouldn't be able to do my job. My job is to go out and look for explosive devices and make sure everybody comes home and he's the key tool that," said U.S. Marine Corp. Sgt. Christopher Vickers. Pascal will demonstrate his abilities at San Francisco's Duboce Park Saturday with other military dogs as part of Fleet Week.